In this podcast episode, Lynne Edris talks with ADHD Expert Diane O’Reilly about creativity in adults with ADHD, and the importance of tapping into that creativity for happiness, well-being, and even productivity! This podcast episode originally aired on 2/8/2018. For more than a decade, Lynne Edris has helped smart, capable professionals who are stuck because they can’t focus, stay organized, get things done, and follow-through consistently. She helps her client clients start “firing on all cylinders” in all areas of life, so that they have more time and more energy for what they love. 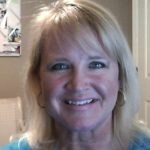 You can learn more about Lynne and the programs and services she offers at her website: www.CoachingADDvantages.com. Diane O’Reilly is a professional certified Life Coach specializing in ADHD. She is an ex-pat Brit living outside Toronto Canada with her Husband and their 4 feisty boys. An adult with ADHD herself and a busy mom, she’s drawn to work with people sharing similar experiences such as Entrepreneurial ADHD Adults, Parents & Teens. 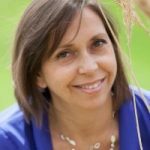 Visit Diane’s website at www.IndigoTreeCoaching.com to learn more about her and what she does. ADHD Support Talk Radio Owner and Producer Tara McGillicuddy is an internationally recognized ADD / ADHD expert. She is also a top ADHD Coach the founder of ADDClasses.com.